I'm a bit confused by this. 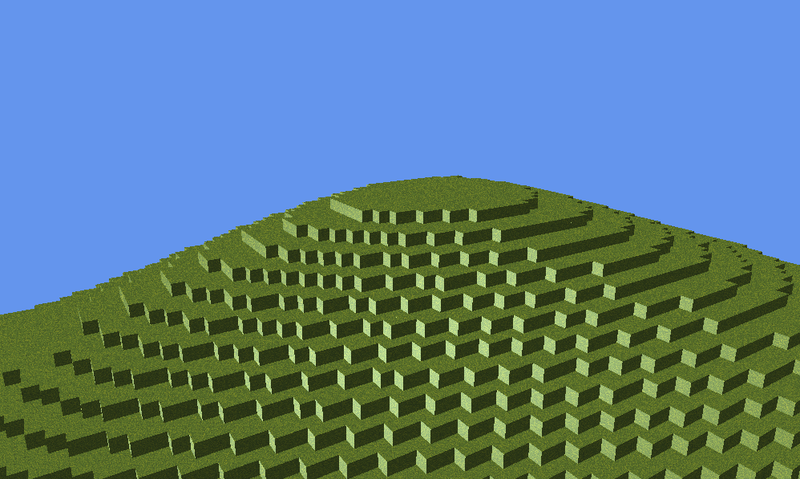 I've created a simple landscape using a simplex noise function and a triangle list of VertexPositionNormalTextures. I use a BasicEffect with default lighting, just to give me a basic shader. 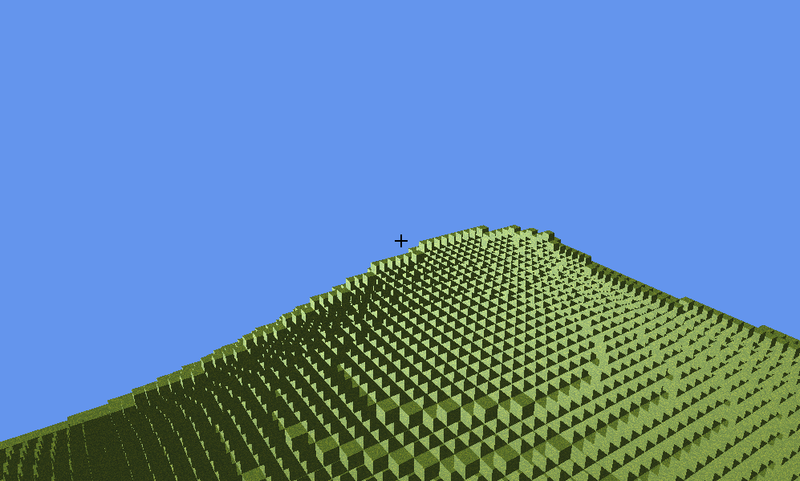 I'm sure there's a logical reason for this, and my understanding is that Spritebatch actually renders the texture in 3D, which I guess is interfering with my blocks somehow, but I can't figure out why only some surfaces are disappearing - it seems to be affecting the normals which determine the direction for the shader to cast light on the blocks because if you rotate the view they display correctly from some sides. Anyone know what I'm misunderstanding here? How do I set the cullmode? - I can see in the method signature for spriteBatch.Begin() I can set the blendstate, but not the cullmode. Unfortunately, that didn't seem to work. I even tried RasterizerState.CullNone which didn't work either. I agree it looks like a culling issue, but I can't figure out what's going on and googling it hasn't thrown up many useful answers. Dunno if this will help you, but I had a similar problem. //NOTE: VERY IMPORTANT to add this after spriteBatch.End.....otherwise severe artifacting of models!!! I now add this to my main Draw routine when using SpriteBatch together with 3D stuff, and have had no such problems since. Fantastic! Thank you @3DRaddict - that solved it! Awesome - I have no idea how I would have found that without your suggestion. Probably saved me hours of searching.